The Ray-Ban RB2132 New Wayfarer sunglasses are an updated version of the originals. Ray-Ban took the same iconic style from the classics and built the RB2132 with a smaller frame with a lightly softer eye shape. 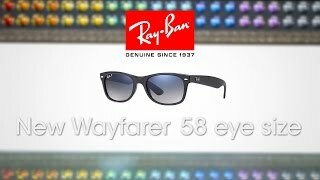 The Ray-Ban New Wayfarer 52 eyesize has less tilt for more coverage and is suitable for those with a small to medium sized face. 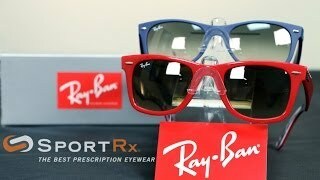 Need Ray-Ban New Wayfarer in prescription? 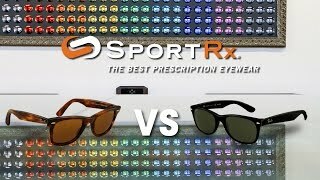 Shop our New Wayfarer collection online at SportRx and our awesome opticians will make the Ray-Ban New Wayfarer 52 eyesize prescription sunglasses of your dreams.